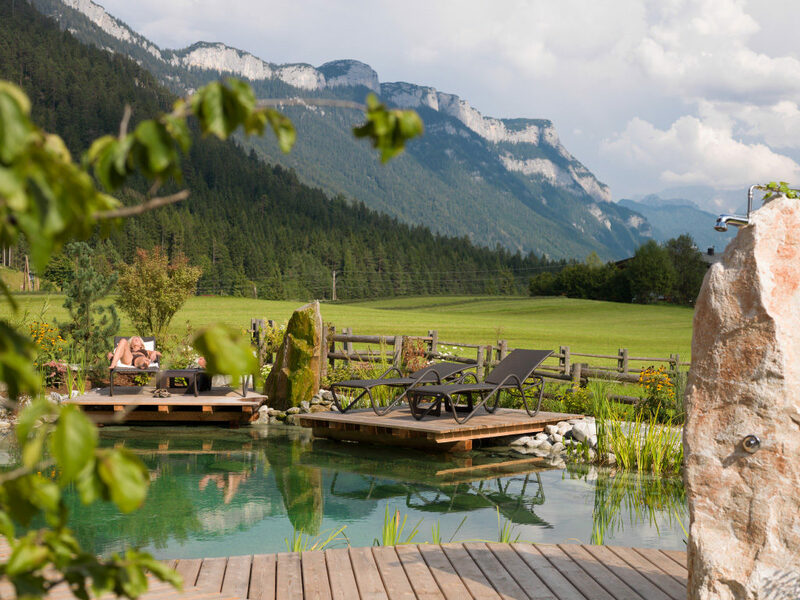 Enjoy your wellness holiday in Austria at the Waidringer Hof. 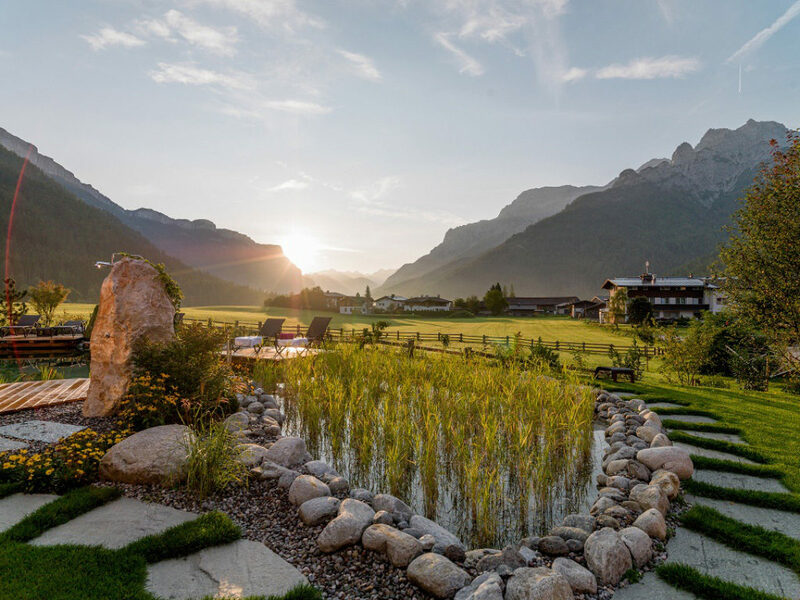 This beautiful wellness hotel in Tyrol spoils its guests with an extensive range of wellness-inducing services that impart a wonderful feeling of well-being. 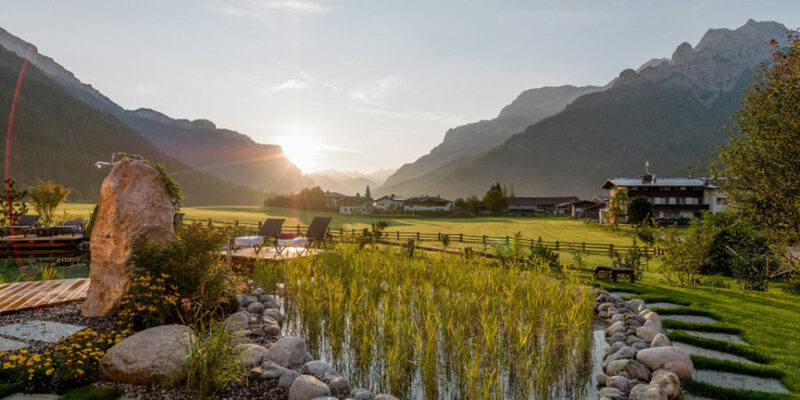 The serene alp with its natural bathing pond and happiness.garden, the blossoming.time SPA and the sauna.village with its indoor swimming pool constitute lavish retreats for aficionados. Healthy motion, beneficial sweating, nurturing treatments and pleasant tranquillity – the Tyrolean wellness hotel offers wellness for everyone. However, a wellness holiday doesn’t have to be limited to the hotel, does it? The world of the Austrian Alps offers another kind of wellness – The kind that is best explored with hiking boots. At the end of an exhausting day, you will return to the hotel with many wonderful memories. You can then recall the events of the day at the serene.alp, the blossoming.time SPA or the sauna.village, and re-charge your batteries for the next trip. Combine a hiking or ski day and wellness in Austria. Afterwards our charming chill out area invites to enjoy. 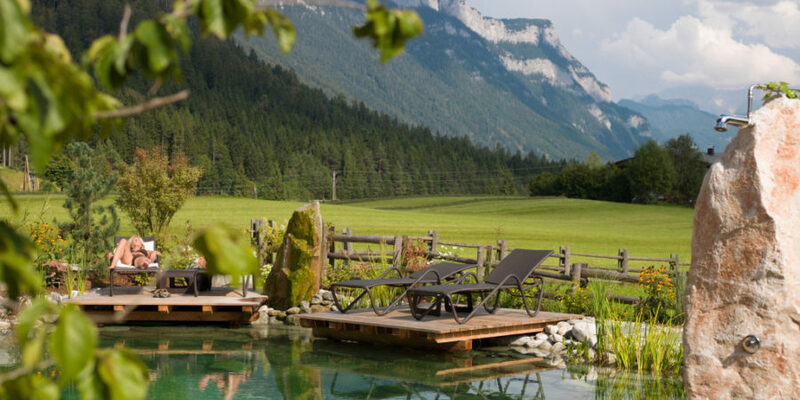 Experience a mixture of natural beauty and the comforts offered by a wellness hotel in Tyrol.